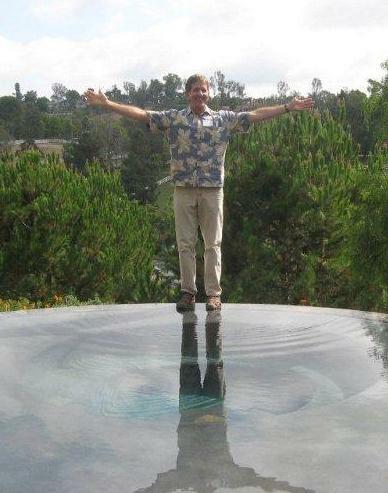 Our volunteers walk on water! The success of our society depends on you, our generous volunteers. Without your dedication and time, we’d be a much less effective and interesting organization. In grateful appreciation we invite you to attend the annual Volunteers Appreciation Party. This year’s party will be held at the extraordinary home and garden of our 2012 Horticulturist of the Year, Susi Torre-Bueno. The Party is for invited volunteers and is free. You must register to attend. You will need a registration code to reserve your spot. The code will be sent to in an email message to invited guests. Each invitee can bring one non-volunteer guest for $15 payable at the door - but please signup your guest when you register so we can get an accurate headcount. If you participated as SDHS volunteer since Sept 2011 but did not receive an email invitation, please email the Volunteer Coordinator. The address of the party along with directions will be sent in the registration confirmation email. Carpooling is strongly recommended. There will be a special door prize drawing for carpoolers only.